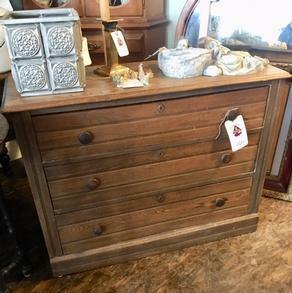 We love the look of this dresser! Three deep drawers that look like nine narrow ones! This beauty could be painted for something amazing! Has wheels for easy mobility. A nice solid piece.